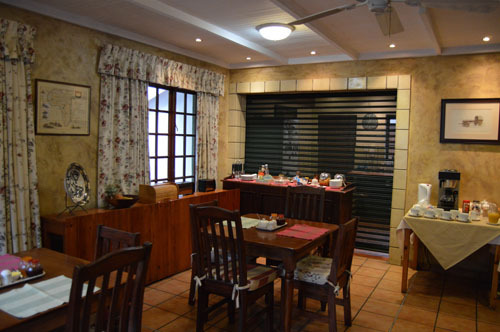 Green Gables is a well-established four star guest house in Rivonia, Sandton, offering superior accommodation in an attractive garden setting. 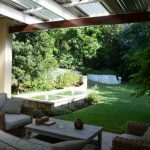 Owner managed and run, Green Gables is ideally situated for access to Sandton, Sunninghill, Woodmead and the freeways to Pretoria, Midrand and Johannesburg. Green Gables is graded a 4-star establishment by the Tourism Grading Council and “highly recommended” by the AA. 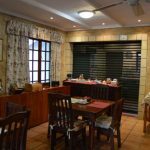 Owner managed and run, Green Gables is ideally situated for access to Sandton, Sunninghill, Woodmead and the freeways to Pretoria, Midrand and Johannesburg. Classic architecture, well-appointed rooms, high ceilings, a tranquil atmosphere and ‘a bit of history’ make Green Gables a sought after location for business people. The rooms in the old farm house take their names from prints displayed in the rooms which all have a relevance to South Africa. The hallway to the rooms has a ‘map wall’, showing copies of maps and charts drawn up by legendary explorers of the past – Speke, Livingstone, Burton. Each room is individually styled and furnished. The Settlers Room is named after the 1820 Settlers, a group of 4000 British subjects who were settled in the Grahamstown area. The Baines Room is named after Thomas Baines, explorer, mapmaker and artist. The Map Room, the Owl Room, the Wagon Room and Pilgrim Room all have their unique identities. Many guests have their favourite rooms. 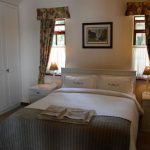 The two self-catering rooms are larger rooms of the same superior standard with a fully equipped kitchen and full bathroom. The gardens are always beautiful, with flowering plants and shrubs. Quiet corners provide seclusion and privacy. We are happy to serve teas in the gardens.